WINDSOR, Ontario — Big V Drug Stores cofounder Tony Crncich passed away October 18. He was 87. 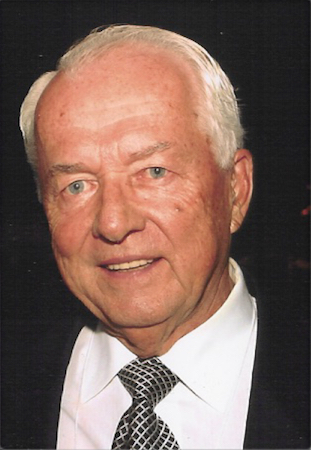 Crncich is being remembered for his storied career as builder of one of the largest retail pharmacy chains in Ontario. The chain he helped launch in 1962 grew to encompass 135 stores. Big V — at the time Canada’s fourth-largest retail pharmacy chain — was sold to Shoppers Drug Mart in 1996. Crncich is also remembered for his service on community boards and personal contributions to community and business. He began his career as a pharmacist in Windsor. After he and partner Mahlon Dyer accumulated four stores, they decided to form a group of independent pharmacies that would give them buying power to compete with chains, according to the Windsor Star, which said the partners picked the name because they liked its simplicity, and they inspired by Winston Churchill’s V for victory gesture. Crncich opened his first pharmacy (Lakeview Pharmacy) in Tecumseh, Ontario, in 1956. Like many of the Big V drug stores, the pharmacy served residents of a small town in southern Ontario. Crncich relocated the company headquarters, along with his family, to London, Ontario, in 1977. The only child of Croatian immigrants, Crncich was born in Rouyn-Noranda, Quebec, in 1930, according to the Star. His early years were spent on the family’s farm near Leamington, Ontario, near the southernmost point of mainland Canada. Gifted in math and science, Crncich studied pharmacy at the University of Toronto. Crncich was married for more than six decades to Joanne, and the couple had six children (four daughters and two sons) and 19 grandchildren.